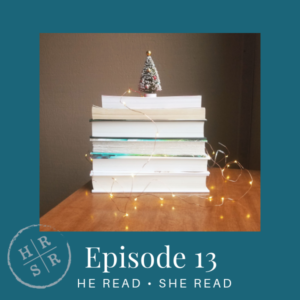 This week, Chelsey and Curtis each share three authors whose books they automatically buy, no matter the subject matter, no questions asked. They also answer a listener question about balancing rereading with a growing to-be-read list and, of course, laugh a lot in between book recommendations. Who are your auto-buy authors? Follow He Read She Read on Facebook, Instagram, or Twitter to share your answer. For bonus content, join us at www.patreon.com/hereadsheread, and to submit a listener question, email hereadshereadpodcast@gmail.com!